* Updated ssh_install_rear_xxx funcitons (issue #62). * Ubuntu 18.04 support (issue #81). * Fixed Mac address change not reflected on PXE (issue #65). * Solve certificate deployment to clients (issue #66). * Improve sched log cleanups (issue #67). * Improve addclient and addnetwork database ID allocation (issue #69). * Improve security on HTTP server getting the client config (issue #76). * Delete client related jobs in delclient workflow (issue #82). * Updated timeout for drlm-stord.service (issue #74). * Modnetwork server ip now modify client.cfg files (issue #77). * In modnetwork if netmask is not specified is taken database saved netmask. * In addnetwork if network IP is not specified will be calculated (issue #84). * Problem with PXE folder file parsing fixed (issue #86). * Automatically remove DR files after failed backup (issue #90). We added Real Time client ReaR log in DRLM server and bash_completion feature. Compatibility with Debian 9 added, among other improvements. “Make deb” improved deleting residual files. NEW Real time client ReaR log in DRLM server. NEW bash_completion feature added to facilitate the use. It is possible to perform a “rear recover” without the parameters DRLM_SERVER, REST_OPTS and ID. listbackup, listclient and listnetwork with “-A” parameter by default. SSH_OPTS variable created in default.conf for remove hardcoded ssh options. At BrainUpdaters, we are proud to announce that DRLM has been certified for SLES. DRLM is supported for SLES12 since its version 2.1 and we offer enterprise class support for DRLM on SLES12. 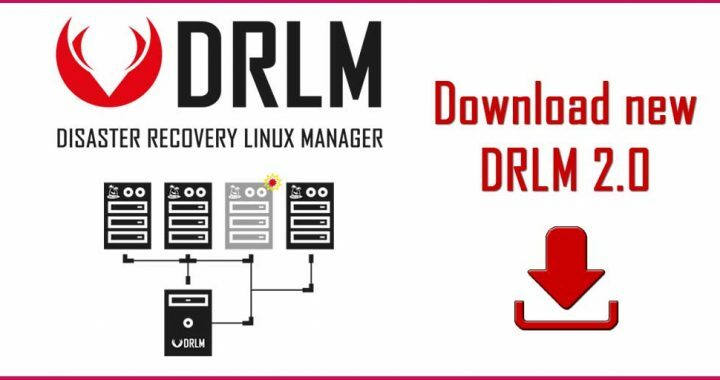 Each version of DRLM is built, installed and tested on all SLES supported versions before releasing it as stable version. Now we made a step forward certifying our software with SUSE. 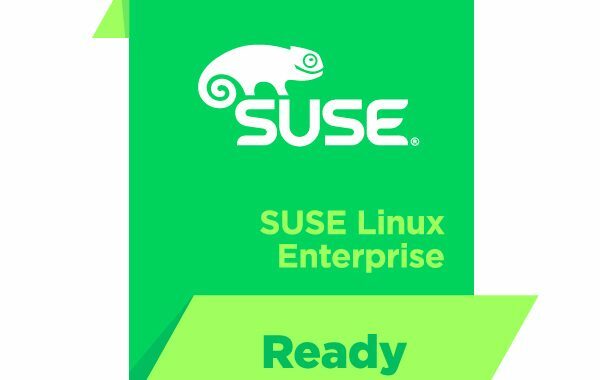 DRLM is listed in the official SUSE product catalog. At BrainUpdaters, we are proud to announce that DRLM has been certified for RHEL. DRLM is supported for RHEL5, RHEL6 and RHEL7 since its first version and we offer enterprise class support for DRLM on RHEL. 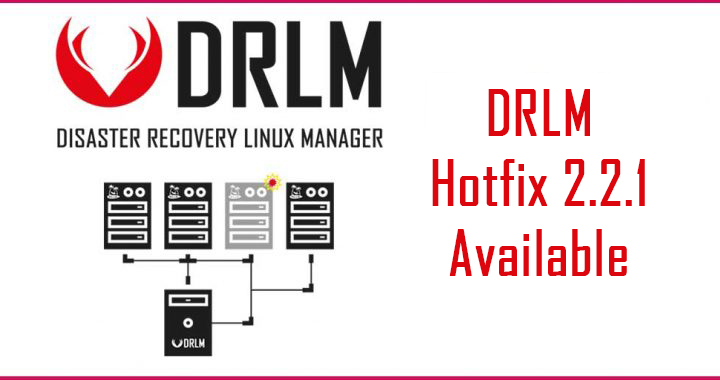 Each version of DRLM is built, installed and tested on all RHEL supported versions before releasing it as stable version. Now we made a step forward certifying our software with RedHat. DRLM is listed in the official RHEL product catalog. 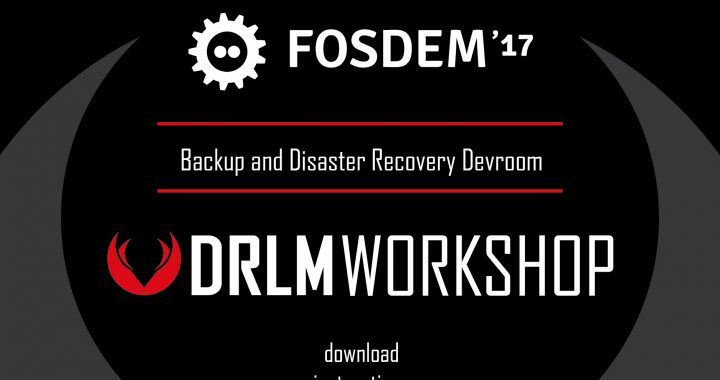 This year we co-organized the FOSDEM’17 Backup & Disaster Recovery Developer Room together with ReaR and BareOS projects. Last year we attended FOSDEM’16 with a booth in the K building and this year we expected to have a booth again, shared with ReaR project, but it wasn’t accepted. We guess that having a Devroom was the point for the organization to give the chance to another project to be present with a booth. 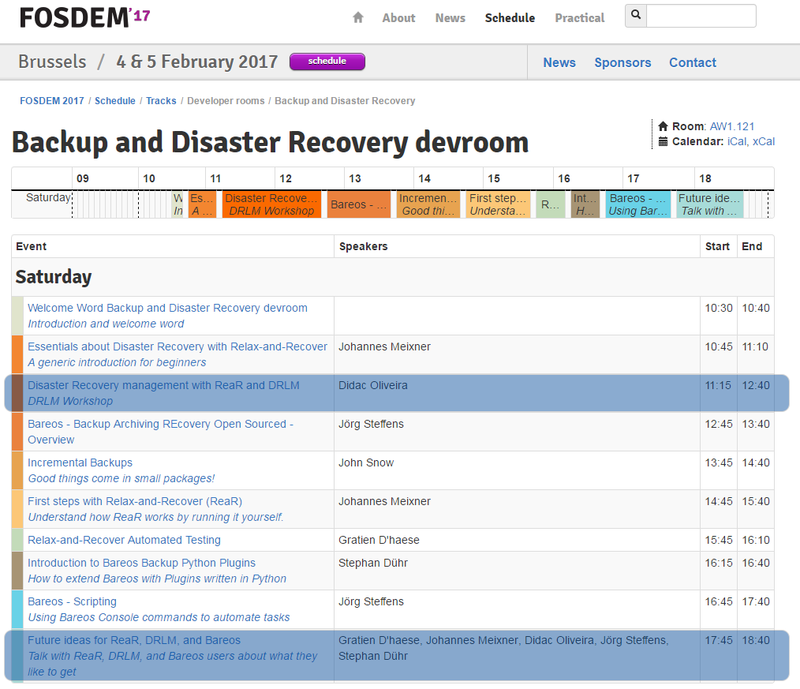 All DRLM team attended FOSDEM’17. On Friday morning we were leaving from Barcelona Airport and landed in Brussels around 15:00 P.M. Still on Friday, in the evening, we were making the last adjustments to the DRLM Workshop before uploading the slides to the FOSDEM website, and after that, we didn’t miss the FOSDEM’17 Welcome Party held at the Delirium Café! 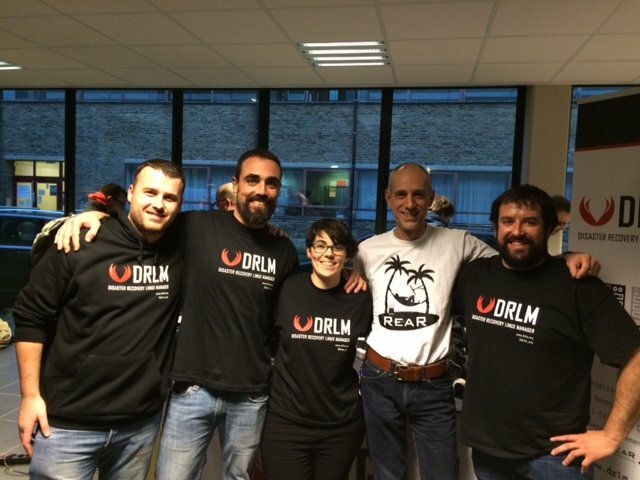 We were surprised that some people were wearing DRLM project T-Shirts from last year! This was amazing for us! We enjoyed a few beers and met some friends there, but got back to the apartment soon because our Devroom schedule was on Saturday and we had to be at ULB Campus early to prepare the Devroom together with ReaR and BareOS guys. On Saturday, at 9:30 A.M. we were at AW.121 room in ULB Campus to prepare all the stuff for the Workshop. 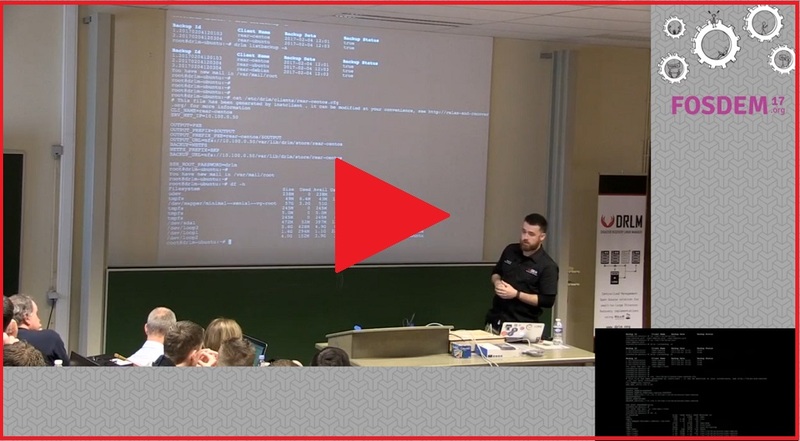 It was a pleasure for us to co-organize the Devroom, being able to explain our project to the Open Source community and our first talk at FOSDEM exceeded our expectations. 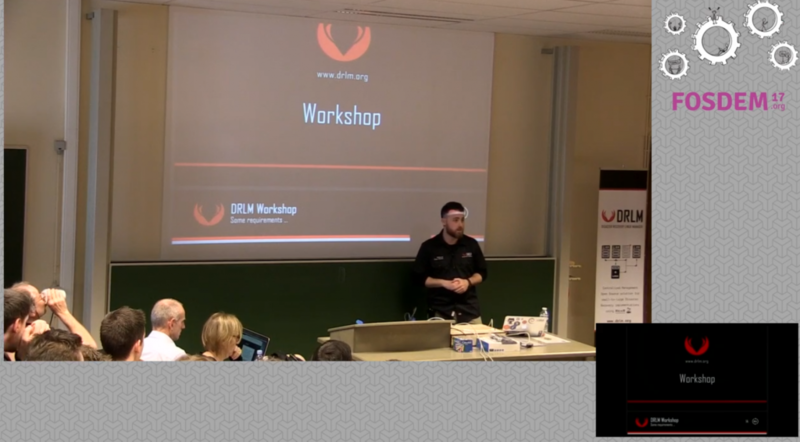 First talk was the DRLM Workshop, that gave us the opportunity to explain the project and to show how DRLM works to all people present in the room or those that were following the talk over the streaming platform. During the whole Saturday we were at the Devroom attending the other very interesting talks about ReaR, BareOS, … without time to lunch until 16:00 P.M. At that time we were really hungry and left the room 30 minutes to eat something in the food trucks area and came back to the Devroom with enough energy to be present at the closure talk regarding future ideas for ReaR, DRLM and BareOS. It was pretty interesting and gave us the opportunity to explain our future ideas for DRLM and ReaR in order to go forward with a better integration on both projects. We received some interesting questions from the audience. Some of them in fact turned intonew points in the project todo-list! This kind of feedback becomes very important for the future of any project. At the end of the talk all the organizers agreed that the Devroom must be repeated next year and all of us will be at FOSDEM’18 again. We were so tired and just came back to the apartment and went out for dinner, more relaxed and with the feel that the Devroom was a success. On Sunday we had time to attend some talks and walk around the Stand areas, as last year was impossible because we were at the booth all the weekend. Finally we want to say thanks to the organization and the hundreds of volunteers, for their efforts to make possible the FOSDEM’17. Again, they held the largest concentration of Free Software communities in Europe, free and open access for all people. A greeting to all the friends we made, and those who shared a beer with us. 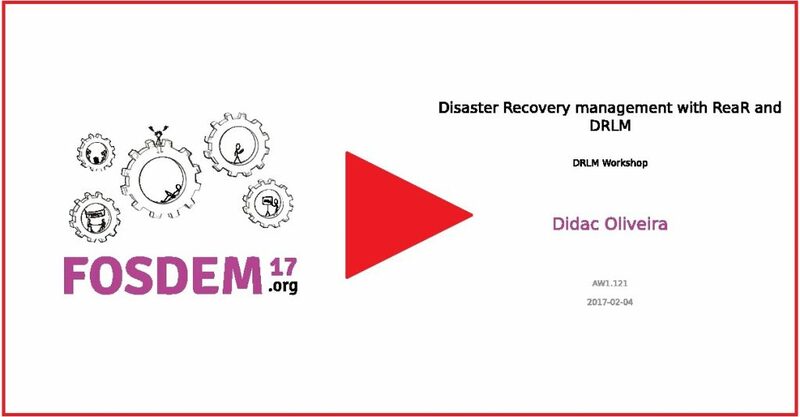 You will have the opportunity to go deeper into the DRLM (Disaster Recovery Linux Manager) tool and know more about the project history, features, news and a complete workshop on DR management with ReaR and DRLM. You can download the instructions of the the workshop tutorial from the link below. So you can get prepared! 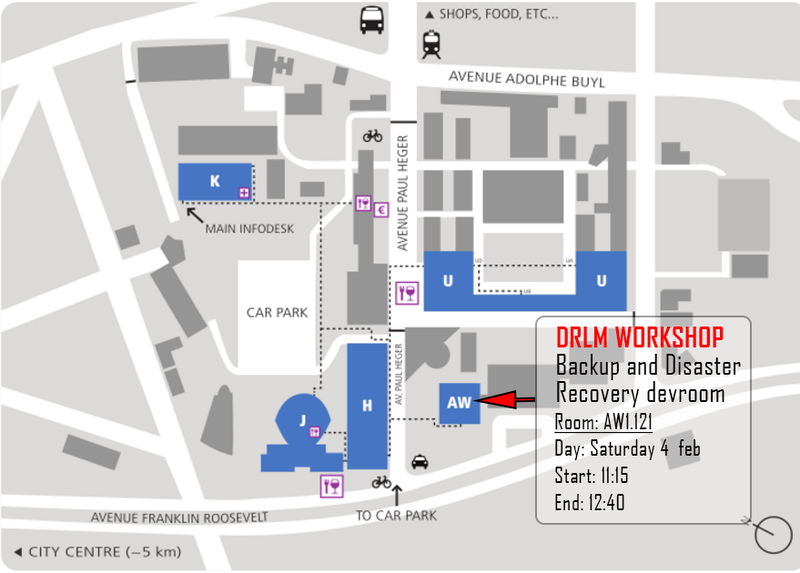 DRLM returns to FOSDEM for take part in the Backup and Disaster Recovery Devroom. We encourage you to attend to the talk and ask questions to our speaker, Didac Oliveria, co-founder and maintainer at DRLM Project. 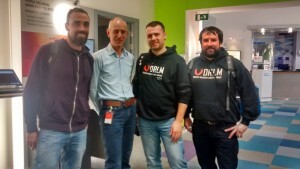 Also an informal talk with ReaR, DRLM and Bareos users, about what they would like to implement in future ReaR, DRLM and Bareos versions will be offered to conclude all sessions of the Backup and Disaster Recovery Devroom. 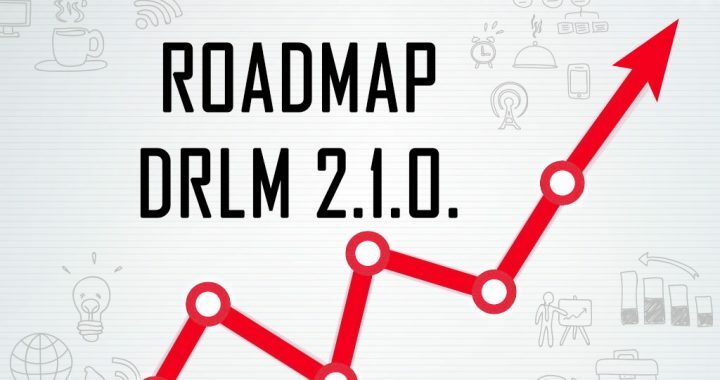 This is the ROADMAP defined for DRLM 2.1.0. It will be released at end of this year. – Passing drlm params automatically (eg: -vD) to rear on runbackup execution from DRLM. 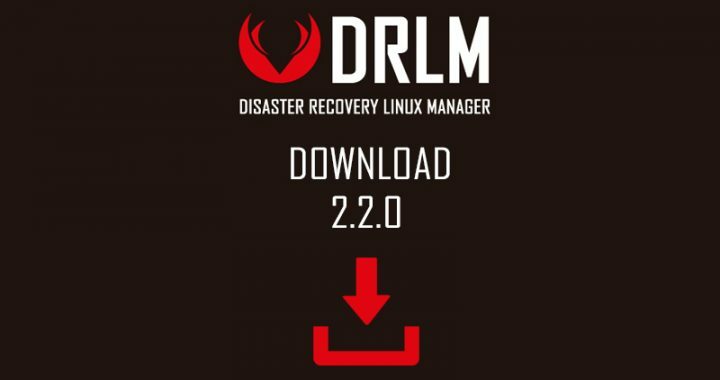 You can download the new DRLM 2.0. This new version solve lots of bugs and new cool features are added! Added timeout var for Sqlite in sqlite3-driver.sh for avoiding database locks. FOSDEM 2016: A great and exhausting experience. 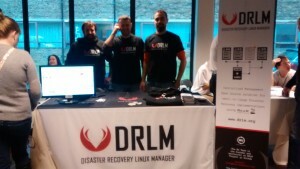 The presentation of DRLM at FOSDEM’16 in Brussels, was a success. Our first stop, just landing, was attending the CentOS Dojo, which was held on Friday 26 February at IBM Client Center in Brussels. We were able to arribe to Gratien D’haese’s talk about Relax-and-Recover, because started later than planned, it was the first success in this travel! After the talk, we also had time meet the CentOS guys, and greet our friend Gratien. 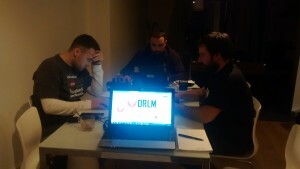 Still on Friday, at the afternoon, we were working hard on updating the DRLM documentation with last changes and adjustments on last DRLM version and finalising the details of DRLM demo that was showed at booth. 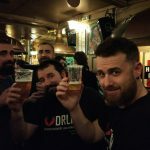 And after hard work, we did not miss the FOSDEM’16 Welcome Party held at the Delirium Café, with great beers and better ambient! We were surprised by the method they had to allow access at the entrance: asking questions about free software to see if people really were FOSDEM attendees. On Saturday, at 9:00 a.m. we began to assemble the stand in ULB Campus and, five minutes later, still assembling the booth, people started to come interested in the project. This was all the weekend, non stops, no lunch time. It was a pleasure for us to attend FOSDEM our first time, revealing our project to free software specialised public. It was an experience that exceeded our expectations. The booth gave us the opportunity to show DRLM to anyone who approached us to know more about the project. 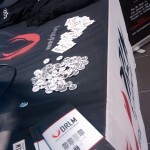 During the event we met many people, talked with them, we showed a demo of DRLM for anyone interested, and we handed, over 150 T-Shirts, about 700 ref cards and lots of merchandising (stickers and pins). We finished exhausted after 2 days of non-stop talks, with people around the world, but with a big smile in our faces after seeing the interest of attenders in DRLM. It was a great and exhausting experience. 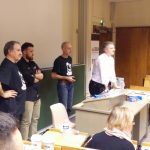 The hardest thing for us was be able to attend interesting conferences that were held in the different areas of FOSDEM. One of the most moving was the memorandum to Ian Murdock, where we could make an appearance. On the other hand we had the opportunity to receive some very interesting questions from the audience. Some became in new points in the project todo-list! This kind of feedback becomes very important for the future of any Project. Even, one component of Team was interviewed for the Hacker Public Radio, you can read the interview here. We also take a couple of videos showing the ambient that was present in the fair. 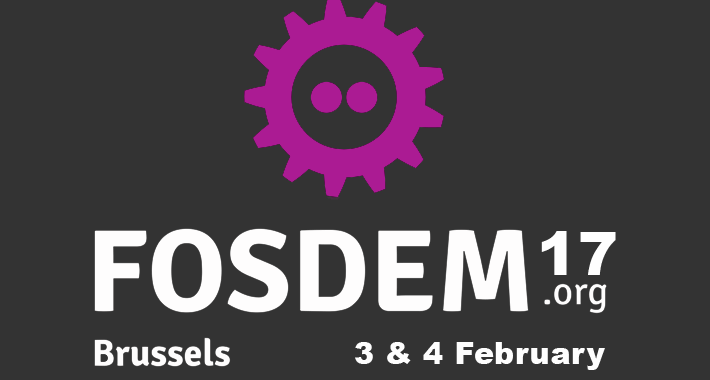 Finally we want to thank the organisation and the hundreds of volunteers, for their efforts to make possible the FOSDEM’16. Again, they held the largest concentration of Free Software communities in Europe, free and open access for all people. A greeting to all the friends we made, and who shared a beer with us.